At ProTel Solutions we supply IP Technology labs (IPTL) secure Virtual Private Network (VPN) equipment. IPTL equipment is designed to solve network integration problems by overcoming imposed limitations end-to-end and over multi-provider transport networks. Such integrations include corporate intranet access, VoIP, databases and network storage. IP Technology Labs is based in Maryland USA, all products are designed, manufactured and supported in the USA ensuring high standards at every stage. 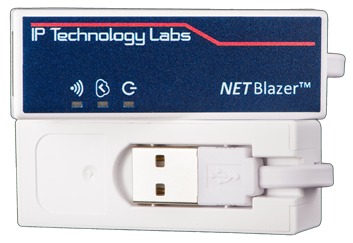 The IpTL Model 7 NetBlazer™ Secure Remote Access Adapter provides true plug-and-play secure clientless access for on-the-go users. More than a VPN, the NetBlazer delivers full network access to all resources and shares them with your PC, phone, and tablets – all at the same time. Transparent to your data, your applications, your peripherals how you work don’t change while out of the office. The IpTL 70V eGate Assured Virtual Appliance™ is a virtualized secure network connectivity solution for hosted and cloud deployments providing transparent, secure, and controlled access to applications and data. Built on IpTL’s product-based converged infrastructure technologies, such as the Model 71, Model 75, and Model 79R, the eGate Solution provides the same network connectivity, application transparency, and tunnel security without the individual hardware overhead, maintenance, and costs of a separate hardware installation. The IpTL 71LW-04 4G Secure Cellular Gateway connects your distributed networks and applications without the need for dedicated networking access. Integrating multiband 4G connectivity, wired Fast-Ethernet, and IpTL’s secure gateway provides unmatched remote access and network protection. 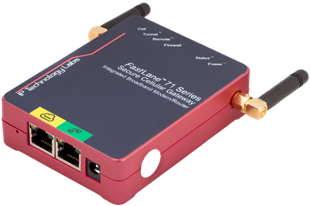 The IpTL 71LW provides wired Fast-Ethernet, wireless 802.11 a/b/g/n or Quad band GSM/GPRS/EDGE connectivity with always-on secure Ethernet access to enterprise resources. Perfect for mobility, BYOD users, or remote device connectivity the 71LW is the all-in-one secure connectivity solution for network enabled devices, applications, and users. The IpTL 72 enables distributed networks to work as one. With two separate tunnels each configurable as local or remote, the IpTL 72 can easily mesh multiple locations. 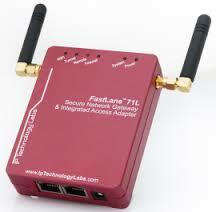 Use xDSL, 3G, or Satellite IP and link your LANs over multiple transit networking facilities. The IpTL 75 Tunnelling Ethernet VPN Gateway transparently and securely connects and tunnels any Ethernet LANs over the Internet. Unlike traditional IPsec VPN’s, the IpTL 75 lets VoIP, Video conferencing, cloud computing, surveillance, and network database applications work perfectly as there are no network issues complicating their use. The IpTL Model 78 FastLane MultiPoint Secure Transparent Bridging Gateway provides a single termination point for networking up to eight (8) remote locations to a central site. The IpTL 78 provides the same high-performance secure and transparent LAN-to-LAN bridging as other IpTL 70 Series devices, but without having to “stack” boxes, use rack space, or create confusing configurations. The IpTL 79R provides a unified management point for terminating large networks. Providing the connectivity, control, and configuration for multisite networking, the M79R provides solution scalability with full fall back or hot‐standby redundancy. For larger enterprise applications with many sites or as part of an integrated disaster recovery installation, the M79R provides the transparency, the bandwidth, and the flexibility for each of your local or remote network connections. The IpTL 770 Series provides a scalable concentration point for multi-site or mobile users. Software Scalable from 1 to 25 connection the 770 Series provides the connectivity, control, and configuration for your multi-site Voice, Video, Data networking requirements. With fall back and hot-standby redundancy standard, the 770 Series delivers the application with the right amount of connections, future expandability, and the full power of IpTL’s Trust & Control™.